Home Latest Stories 34th GST Council meet underway. 34th GST Council meet underway. The meeting of the Goods and Services Tax, GST Council is currently underway in New Delhi.Finance Minister Arun Jaitley is chairing the 34th meeting of the Council through Video Conferencing. The council is expected to take up various issues including the implementation of lower GST rates for the real estate sector. The meeting is likely to deliberate on transition provision and related issues for the implementation of lower GST rates for the real estate sector. Sources said, no issues related to rate is on the agenda as the model code of conduct is in force. 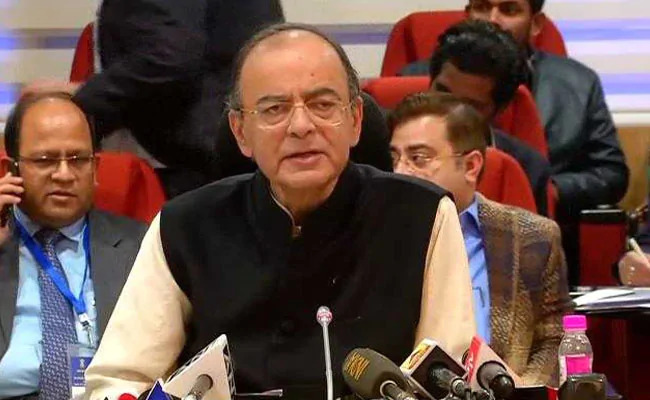 In the previous meeting held on 24th February, the high-powered GST Council slashed tax rates for under-construction flats to 5 per cent and affordable homes to 1 per cent, effective from April 1st. Currently, the goods and services tax (GST) is levied at 12 per cent with input tax credit on payments made for under-construction property or ready-to-move-in flats where completion certificate is not issued at the time of sale.